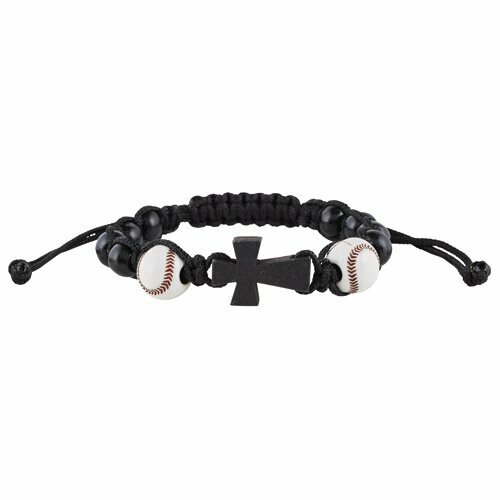 Our new Sport Rosary Bracelets are a great way to get teens, and even younger kids, interested in saying the rosary every day. Now they can combine their love for Jesus with their passion for sports! These rosary bracelets make it easy to teach all children that Jesus is with us continuously; all we need to do is pray. Each bracelet is crafted using strong nylon cord, durable moulded beads and is adjustable to fit kids and teens of all ages. They make truly unique gifts for Christmas, First Communion, Confirmation, birthdays and graduations.